For the first time in nearly 3 years of working with UI5 I was recently tasked with using UI5 completely outside of SAP, a fact also highlighted by my recent post on exporting to excel using openUI5. This means that my backend isn't SAP but actually a MS .NET service and that this app won't even be deployed near an SAP landscape and will instead be a standalone application running the latest version of OpenUI5. I mention all of this so you know why I'm doing the azure AD authentication inside of our UI5 application directly and this isn't going to be a post about implementing azure AD on your Fiori Launch Pad. 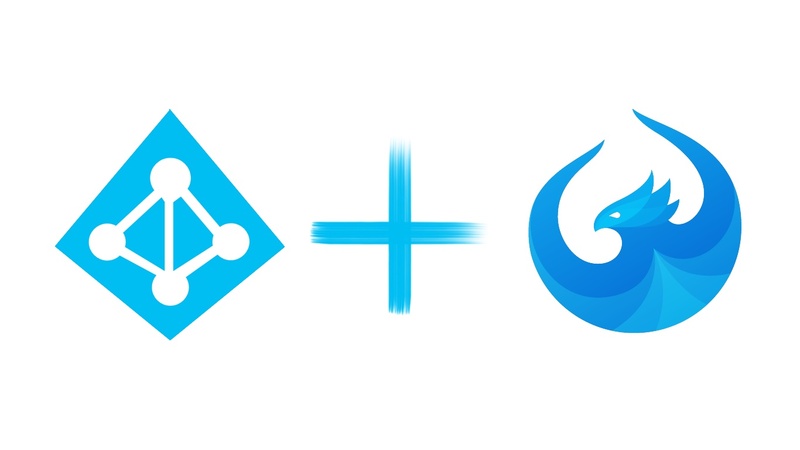 In this blog I will cover the creation/ configuration of our azure side/ portal as well as our front-end/ UI5 bits, my aim is simply to get Azure AD authentication on our application quickly and easily but not go much further than that. An Azure account with access to Azure Active Directory, which luckily for us and for the purposes of this blog is free and something we can just get by signing up over here. Please note that they will (at least for me they did) ask for verification of a phone number as well as to take a debit card against your account. Your millage might vary if you're using an account already associated with Microsoft. First of all we want to goto the Azure portal , login and in the dashboard on the lefthand side you should see a section called "Azure Active Directory" click on that to come to the AD screen/ configuration. I'm going to be using localhost for this application (as i've not deployed it) and so I'm going to make use of http://localhost:8080 for my applications sign-on URL. As always we're going to start from a blank application with nothing really setup in it, I make use of ExpressUI5 (disclaimer I made this) to quickly create my new UI5 applications. Similar to lots of my other blogs I'm once again going to make a folder called util and in that util folder we're going to place adal.js which stands for Active Directory Azure Library and I simply downloaded the minified version to place into my adal.js file. So inside of the 'resources' section create a new section called 'js' and then populate that with an array of our files to load which in this case is just out xlsx.js. Again your millage may vary with the tennant name, especially if you're doing this on your live azure system and it might instead read as something like your primary domain name. NOTE: you can click through to that and there's an easy 'copy to clipboard' functionality. So as listed above I've deiced to include adal.js inside of my manifest.json and for the purposes of this blog I'm going to just throw everything in the controller and use the onInit function of my primary controller. So this is a lazy way of defining our auth context and it means that we don't re-define it each time we use it and is straight up copied from how we define similar things like fragments. //set user data to a model maybe? That's it! that's how easy logging into Azure really is with UI5, with the user object we get quite a bit of information back that might hold group information, their level of access/ setup in the AD etc which has many useful applications. Azure AD was actually very easy to implement both on the front end and the azure portal which seemed a breeze to use over some other server providers that I've used in the past. Azure is quickly shaping up to be one of my favorite platforms and how easy this was to implement is one of the reasons why. Do you want me to get more in-depth with Azure? let me know what sort of posts you'd like me to write about in the comments as I'm sure I'll look to do more with them in the future.